The release applies to new and existing systems, including the Dual Camera Analytic Modules (DCAM), and constitutes backend upgrades that improve system detection capabilities as well as interface updates that enhance remote event validation. 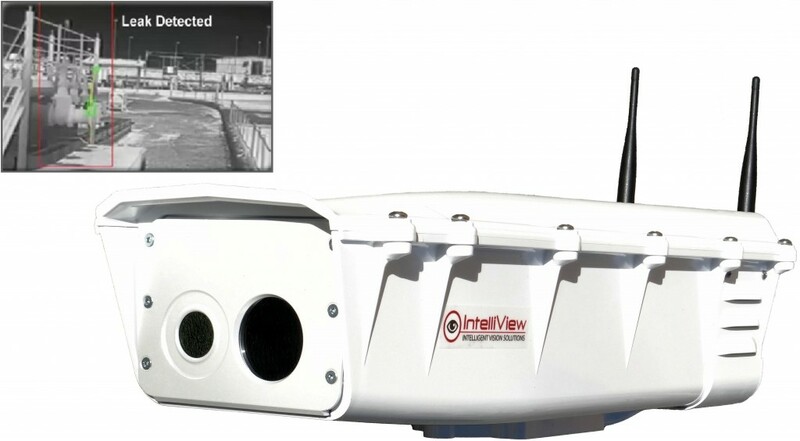 The improvement in processing engine efficiency enables the IntelliView system to handle more complex analytic functions, such as cross camera correlation. This translates to increased detection accuracy and further reduction of false alerts of the fully automated IntelliView monitoring systems, which can instantaneously detect, qualify and report on user-defined events, such as above-ground liquid and wet hydrocarbon leaks, other hazardous liquids, security breaches, flare stack flame failures, and wildlife intrusions. Timely access to true event notifications and real-time visual field data equips operators with the insight needed to remotely validate events, considerably reducing windshield time as well as routine and alert-triggered onsite inspections by personnel. Through this approach any necessary risk mitigating or preventing measures can be planned and implemented faster and at minimal cost. "The expectations and dependence on artificial intelligence for automating condition monitoring operations are higher today given the performance standard demanded by safety-conscious operators and industries, such as oil and gas and mining," says Chris Beadle, IntelliView VP for Sales and Marketing. "The improved analytic capability and system reliability delivered by the IVS 5.0 provide site managers value through significantly minimized nuisance alerts and faster offsite validation of events, helping them achieve their HSE goals and optimize operations cost effectively." The IVS 5.0 also introduces an all-new web interface and a number of customer-driven functionalities to the IntelliView video management system, the System Console (SC), that provide enhanced event validation and remote viewing experience overall. New features include a full screen mode and a customizable live video tour mode in its comprehensive monitoring toolkit. Users are able to view live feeds and recorded videos at the maximum browser size of their monitor, and flip through multiple camera views without manual operation. The higher image detail produced by a larger screen increases the visibility of small alert-triggering objects, allowing events to be confirmed quicker. Other proprietary software technologies have also been incorporated in the SC to greatly improve a user's ability to identify alert causes, confirm events as quickly as possible, and easily manage multiple alerts.